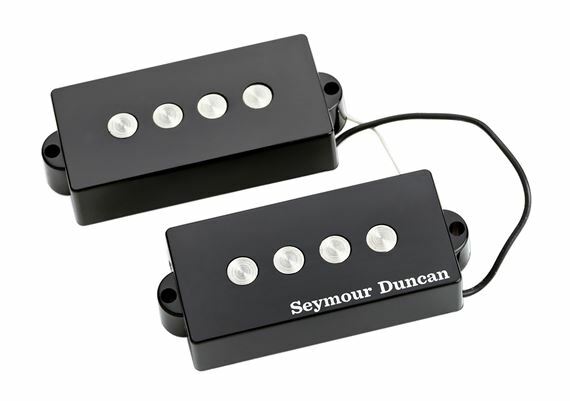 Shop Seymour Duncan Quarter Pound P-Bass Pickup from AMS and enjoy Fast & Free Shipping. This Precision pickup is for musicians who want maximum output and extended frequency range. 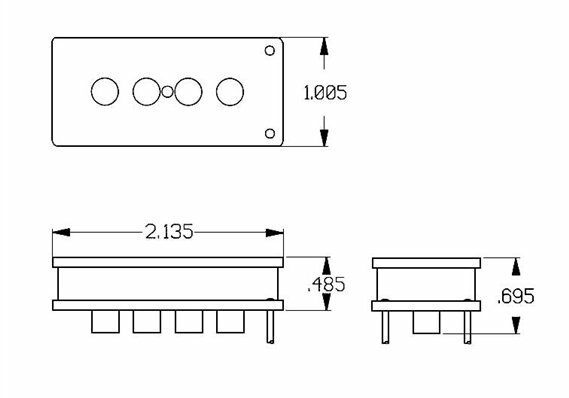 Large quarter-inch wide pole pieces expand the magnetic field and extend the frequency range from low to high end for a fat, full, punchy sound with midrange presence. The Seymourized ™ design balances the coils with the magnets for great sustain and harmonics. Pickup cover included Tonal Characteristic: High output with lots of clarity and high-end punch. AMS has this shipped two me within two days of purchasing. Had it professionally installed the next day. The difference in my tone in my mexican P bass is night and day. More defined low end, and attack. Strongly recommend for an easy upgrade. I replaced stock p-bass pickups on my Fender PJ Mustang with these quarter pounders, and all I can say is wow! The output is scorching!! Super easy to install and easy payments from AMS make it a no-brainer. Don’t hesitate, get these today!!! I have a P-bass project that I’m working on and just needed a P-bass pickup that would give me a great sound without being too expensive...these are just what I needed! If you got a p bass with some not so good pickups that’s such a bummer. Folk go ahead and bag some spb-3’s and let ur bass be heard. I have this pickup installed in a Yamaha RBX460 that I converted to fretless. I'm not an electronics, wires, soldering kind of guy. I know people who are, though. The installation of this pickup was complete within 15-20 minutes. High output, thick and wooly, high end clarity. Great sounding pickup. Super value. If you have a P-style pickup in any of your basses, replace them all with this pickup. middle to high end tone. Very good replacement pickups for any non-American P-bass since I wouldn't modify an American P-bass.